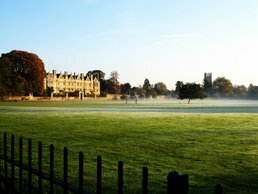 Book now for Meeting Minds: Alumni Weekend in Oxford, 15-17 September 2017. Choose from a range of stimulating talks, fascinating tours and unique hands-on activities across three days in Oxford. Most sessions are just £10 each so you can pop along for a couple of hours or join us for the whole weekend. Oxford alumni and friends are invited to an informative talk on the phenomenon of ‘left-behind children’, delivered by Professor Rachel Murphy, Head of the School of Interdisciplinary Area Studies, Director of Contemporary Chinese Studies and Professor of Chinese Development and Society. Millions of children in China have been ‘left behind’ in the countryside while their parents work in distant places to support the reproduction of their families. This talk draws on matched interviews with children and their caregivers over a five-year period to examine the role of education in this process. It shows that on a daily basis, the work of children in schools and the work of parents in the cities are intertwined. Specifically, by communicating with each other about study and by focusing on the children’s educational future as the purpose of their work, both children and parents enact their obligations towards each other, while finding ways to cope with the emotional difficulties that protracted separation entails. The talk additionally highlights noteworthy differences among these children in how they deal with both parental migration and study pressures: by who migrates, who provides care, economic circumstances, and their own gender, age and academic performance. Overall, the discussion demonstrates that children’s voices offer valuable and fresh insights into how migration and education drive agrarian change. 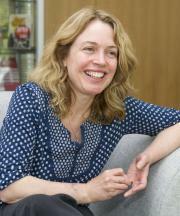 Professor Rachel Murphy is Head of the School of Interdisciplinary Area Studies (SIAS), University of Oxford. She is also the Director of Contemporary Chinese and Professor of Chinese Development and Society. Professor Murphy is a sociologist whose research examines transformations in China’s interior occurring because of the inter-related processes of industrialization, urbanization, demographic transition, modernization (especially through state-endorsed projects such as education), marketisation and the expansion of communications technologies. Her research is one example of the wide range of research on China taking place at Oxford. For more details, please visit here. Organised by the newly-established Oxbridge Jiangsu-Zhejiang Alumni Association, the Westlake Forum serves as a platform for open discussion among Oxbridge alumni and leading researchers from Jiangsu, Zhejiang, Oxford, and Cambridge to share their insights on the world’s cutting-edge technologies and innovations. You are invited to attend the inaugural forum on the future of biomedical science and the era of quantum technologies, on Saturday 9 September, 2017. Head of the Humanities Division at the University of Oxford, Professor Karen O’Brien, will be giving a lecture on Thursday 7 September in Hong Kong, on the theme of Jane Austen and the English Art of Hospitality. In the lecture Professor O’Brien will explain the conventions and etiquette of visits in Austen’s time, and explore the ways in which being a courteous and good guest and host are fundamental to understanding Austen’s conception of social order and individual moral behaviour. For Austen, the Art of Hospitality is a fundamental part of the art of living well, and one from which we can all learn today. Jane Austen died on 18 July 1817. To mark the 200th anniversary of her death, the Bodleian Library at the University of Oxford is holding a major exhibition about the writer, and the Bank of England has decided to feature her on the new £10 banknotes which will come into circulation from September. We are very pleased to be holding this lecture by our new Head of Humanities in this important year celebrating Jane Austen’s life. Professor O’Brien is a professor in the Faculty of English at the University of Oxford. Her research focuses on the Enlightenment and eighteenth- and nineteenth-century literature. She has written and broadcasted extensively on the historical writing and fiction of the period. She became Head of the Humanities Division in September 2016. You are cordially invited to the Oxford Hong Kong Mooting Competition 2017. 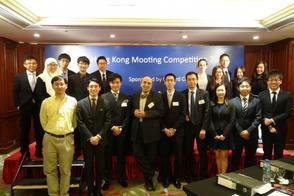 The Competition was inaugurated six years ago to promote mooting among Oxford students in Hong Kong and to connect experienced professionals with students. It has become one of the largest regular alumni events in Hong Kong, attracting audience members from both Oxford and beyond. The Competition promises to be an exciting and intellectually stimulating event, as well as a perfect opportunity for Oxford students and alumni in the legal field to meet one another. Last year, High Court judge, Au J, was the Grand Final judge. The Competition will be followed by a 10 course Chinese-style dinner. The event in Shanghai is kindly hosted by YK Pao School. 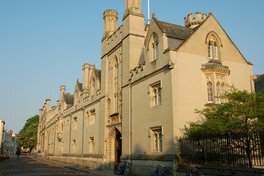 Do you have a conditional or unconditional offer to pursue an undergraduate or postgraduate course at the University of Oxford this autumn? Come to these orientation events and find out all you need to know to prepare for life at the city of dreaming spires, from student visas to preparing for your first tutorial. There will also be an opportunity to mingle with Oxford alumni for an insider guide to life as an Oxonian. For enquiries, please contact info@oxforduchina.org. Building on the University’s long tradition of public lectures, the Oxford China Lecture connects audiences in China with some of the most powerful ideas generated by Oxford research. Similar lectures held around the world have explored the future of cities, cyber security, the new age of robotics and the gene revolution. Hosted by Vice-Chancellor Louise Richardson in Beijing, this year’s lecture by Professor Ian Walmsley will provide an accessible overview of the science and engineering behind quantum computing and the breakthroughs at Oxford that are paving the way for the Q20:20, the world’s first working quantum processor. A panel discussion will explore the future commercial and social impact of quantum technology. For further information or to register, please visit www.ox.ac.uk/ocl. Spaces are limited. Please register before Monday 17 July. Delivered in English with simultaneous interpretation. This event is free of charge. The realisation of quantum computers will be one of the greatest scientific and engineering achievements of this century, creating machines with the potential to solve problems that would take a conventional high-performance computer the lifetime of the universe to crack. Although a fully quantum computer is years away from development, the disruptive potential of quantum machines is attracting growing interest and investment from industry and governments globally, inspiring the growth of the next trillion dollar tech market. Designed for a non-technical audience, this lecture will introduce the counter-intuitive features of the quantum world that are being harnessed to create quantum computers, the challenges scientists and engineers have yet to overcome in order to build such a machine, and the breakthroughs at the University of Oxford that are paving the way for the Q20:20, the world’s first working quantum processor. 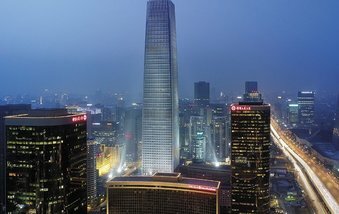 A panel of business and academic leaders will discuss how this new generation of computers will create new market opportunities and impact the lives of people in China and around the world in the decades ahead. Professor Walmsley is a world-renowned expert on quantum computing, who will introduce us to a field which promises to revolutionise the technological landscape in the years ahead. The lecture, which is designed for a general audience, will be followed by a panel discussion with industry leaders who will help us to understand how this ground-breaking technology will have an impact on China and the wider world. Ian Walmsley is the Hooke Professor of Experimental Physics, Pro-Vice-Chancellor for Research and Innovation and Professorial Fellow of St Hugh's College. His research is in the areas of ultrafast optics and quantum optics. He has pioneered the marriage of these fields for applications in quantum technologies, which form part of the critical technology path of the Networked Quantum Information Technologies Hub (NQIT), of which he is Director, and which is part of the UK National Quantum Technology Programme. He is the President-elect of the Optical Society of America, a Fellow of the Royal Society, and American Physical Society and the Institute of Physics, as well as a Science Delegate for Oxford University Press and a member of the Board of Oxford University Innovation. 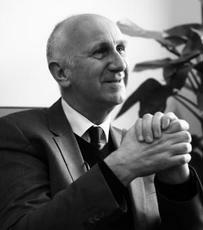 As Pro-Vice-Chancellor, Professor Walmsley oversees the University's research and innovation strategies and policies. He chairs the University's Research Committee and is responsible for coordinating the University's relationships with its major research funders and the engagement of research activity with wider audiences. Oxford alumni and friends are invited to a special reception and talk at the Asia Society Hong Kong Centre with Professor Craig Clunas, Head of History of Art Department. This event is kindly hosted by Asia Society Hong Kong Centre. This talk will take a long view in considering the market for Chinese art from the Ming period to the 20th century. Do the changes matter more, or is it the continuities we should be paying attention to? In particular, how does the invention of the categories 'traditional and 'modern' in the 20th century relate to the commodities of the art market and the contexts in which they circulate? Craig Clunas is Head of History of Art Department, University of Oxford, and the first holder of this position to work on art from outwith the European tradition. 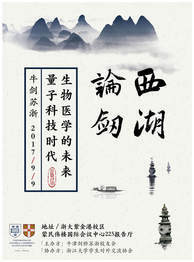 He is the author of numerous books on the art of China, particularly of the Ming period, and his 2012 A. W. Mellon Lectures at the National Gallery of Art are forthcoming under the title 'Chinese Painting and its Audiences' – which is also the title of his most recent publication. What is Chinese painting? When did it begin? And what are the different associations of this term in China and the West? In Chinese Painting and Its Audiences, which is based on the A. W. Mellon Lectures in the Fine Arts given at the National Gallery of Art, leading art historian Craig Clunas draws from a wealth of artistic masterpieces and lesser-known pictures, some of them discussed here in English for the first time, to show how Chinese painting has been understood by a range of audiences over five centuries, from the Ming Dynasty to today. Richly illustrated, Chinese Painting and Its Audiences demonstrates that viewers in China and beyond have irrevocably shaped this great artistic tradition. Venue: Meilu Legend Hotel, 8 Zhibei Rd, Hangzhou, 310024 Zhejiang, People's Republic of China. 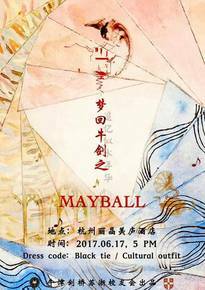 The Oxbridge Jiangsu-Zhejiang Alumni Association warmly invites Oxonians to celebrate and reminisce over their Oxford days with them at the group's very first May Ball on Saturday 17 June. The event will be held at the Meilu Legend Hotel in Hangzhou from 5pm to midnight and the theme is the 1930s. There will be musical performances, fortune telling, Las Vegas tables and various games, among other attractions. There will also be a special ‘Remembrance of Past Things’ photo booth where attendees can be whisked back to back to the 1930s era. 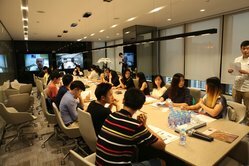 The group plans to make the event a regular fixture in its social calendar, alternating the venue between Hangzhou (the capital of Zhejiang) and Suzhou (a key city of Jiangsu).For details and booking, please visit: http://mp.weixin.qq.com/s/yOcnS4SXd5ymRmjCcAugSA (English)/ http://mp.weixin.qq.com/s/ly7I_9tYykSN9aovQmc8BQ (Chinese) or email zhongwen.zhang@oxbridgeclub.cn. 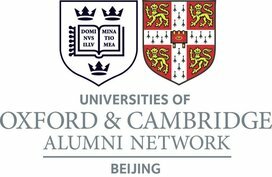 Fee: Cost: 230RMB for Oxbridge alumni, 300RMB for their personal guests - price includes canapes, wine and non-alcoholic drinks. The Oxford and Cambridge Club Beijing (OCCB) warmly invites you to the OCCB's signature event (the highlight of the early summer) - a garden party at the Residence of the British Ambassador on Wednesday 14th June 2017. Go for the networking at the prestigious location, pleasant company, drinks and food! For booking and details, please visit: https://yoopay.cn/event/93153867. For full details, please download the poster. The Oxford Education Society (OES) warmly welcomes you to the OES Hong Kong Lecture on Wednesday, 14 June 2017 at Yew Chung International School. OES members are welcome to join the dinner after the lecture. Online registration for either or both of the above at: https://goo.gl/forms/K4f6RMJgFzdOEYn03. Charlotte Isaacs, from the University of Oxford's Undergraduate Admissions and Outreach Team will be visiting Shatin College and St Paul's Co-Educational College in April to deliver presentations on the Oxford's undergraduate admissions process. These sessions are designed to provide detailed and accurate information regarding all of the aspects that one might consider when applying to Oxford. This will include; the choice of course, the collegiate structure of the University and the application process itself, including admissions tests and interviews. 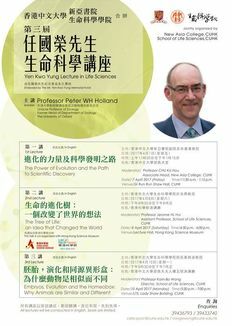 The University of Oxford is extremely grateful to Sha Tin College and St Paul’s Co-educational College for hosting these events. The sessions are primarily aimed at students considering applying to the university in October 2017 for a 2018 start date, and therefore would normally be in their penultimate year at school although students in year 11 may also find it informative. Parents are also welcome. To book onto this event please go to the relevant event web page and complete the online form. Further information will be sent out to all who have booked onto the event nearer the time. 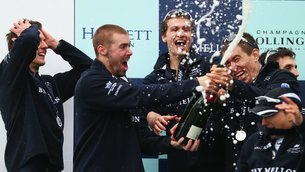 The Oxford and Cambridge Society of Hong Kong warmly welcomes you to the Annual Boat Race Dinner, the most enjoyably ‘informal formal’ event in the Society’s annual calendar, on Saturday, 22nd April 2017 at The Hong Kong Club, after the Society’s Annual General Meeting. Cocktails will be served, followed by a sumptuous four-course dinner with wines. There will also be an opportunity to watch a screening of the 2017 University Boat Race. Oxford alumni and guests are warmly invited to attend the above lectures delivered by Professor Peter Holland from University of Oxford. Please click here for more details. All lectures will be conducted in English and seats are limited. 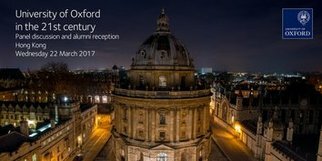 ​Join us in Hong Kong on Wednesday 22 March for an alumni event starting with remarks from the Vice-Chancellor, Professor Louise Richardson , followed by a fascinating discussion about Oxford University's distinctive strengths and its future in an uncertain world. The panel discussion will be followed by a drinks reception, offering you the opportunity to continue the conversation and enjoy a short musical interlude provided by the Keble College Choir. The University is deeply grateful to Jardine Matheson for supporting this event by sponsoring the venue. Please register by Thursday 16 March 2017. Colleges and departments will be holding evening activities in Hong Kong from Tuesday 21 March to Thursday 23 March. Look below to see if and when your college and/or department is participating. Other colleges may be planning to participate too and please check with your college directly for details. Professor Sir Nigel Shadbolt, Principal of Jesus College, will be visiting Hong Kong and Singapore in March 2017 as part of the University of Oxford Alumni Weekend in Asia. 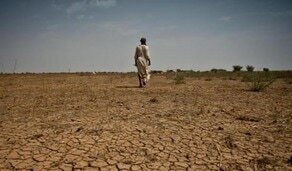 He will be accompanied by Ms Philippa Roberts, Director of Development. Mr Ian O’Brien is hosting an alumni dinner for the Principal in Hong Kong in conjunction with Gordon Jones, on Tuesday 21 March. Pre-dinner drinks at the Hong Kong Club from 6.00 p.m. to 7.20 p.m. followed by dinner at the China Club on the 13th Floor of the old Bank of China Building at 7.30 p.m. There are still places available but numbers are limited so please respond asap to Gordon if you would like to attend. The Principal and Ms Roberts will also be attending a dinner for Jesus alumni on 24th March in Singapore, beginning with drinks at 6.30pm and dinner at 7.30pm. Venue tbc depending on numbers, so please let us know if you would like to attend. Guests welcome. On Saturday 25th March, as part of the weekend’s academic programme, Sir Nigel will be giving a presentation entitled: “When digital gets physical: The future of consumer-product interaction”. He will be speaking primarily about the latest advances in Artificial Intelligence and how they will impact our lives in terms of the products with which we interact. Keble’s renowned choir will perform Masterpieces from the European Choral Tradition in the magnificent setting of St John’s Cathedral. We send a warm invitation to all University alumni, family and friends to join us for this unique occasion. After a successful summer European tour, the Keble choir, under the leadership of our Director of Music, Matthew Martin are now finely tuned and pitch perfect. We hope you are able to join us at this wonderful event. Please email Sharon Thomas if you would like to attend. The concert is free of charge. Following the Concert there will be a Reception for Keble Alumni, friends and guests at The China Club, 13/F The Old Bank of China Building, Bank Street, Central (just a short walk from the Cathedral). Drinks and canapes will be served. The reception is free of charge. 8.30pm – 9.45pm. This event is generously hosted by Mr Edward Cheng (Keble 1977). Please email Sharon Thomas to register. 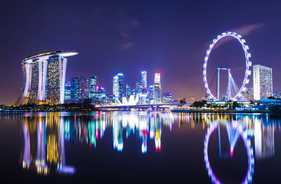 Places are still available for certain events at the Alumni Weekend in Asia, Singapore, from 24 to 26 March 2017 (including the academic programme, an exhibition of Shakespeare's First Folio, and the Row for Hope Oxford and Cambridge alumni boat race). Keynote speakers include the University's Chancellor and Vice-Chancellor. Take part and find out about the latest Oxford research and socialise with fellow alumni. Book now! 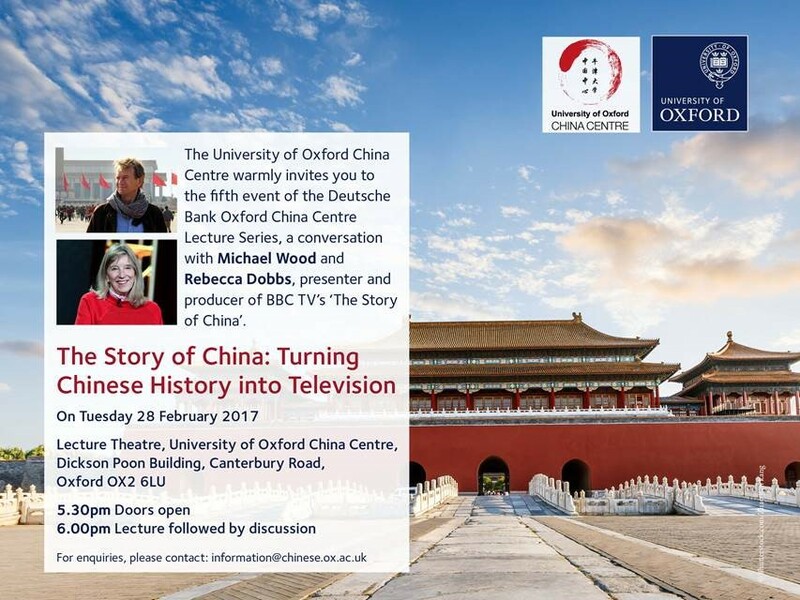 Speakers: Michael Wood and Rebecca Dobbs, presenter and producer of BBC TV’s ‘The Story of China’. The University of Oxford China Centre warmly invites you to the fifth event of the Deutsche Bank Oxford China Centre Lecture Series, a conversation with Michael Wood and Rebecca Dobbs, presenter and producer of BBC TV’s ‘The Story of China’. For enquiries, please contact: information@chinese.ox.ac.uk. Please download the flyer﻿ here. Trini has been working in local and overseas non-governmental organisations for over 30 years and has been committed to promoting sustainable development and poverty alleviation globally. Her scope of expertise covers labour issues, corporate social responsibility, climate change and international trade practices. She has participated in various international advocacy initiatives and is well versed in managing civil society organisations. Born and raised in Hong Kong, Trini completed her Doctor of Philosophy in the politics of reform and new social movements in China at the University of Hong Kong and later worked at Oxfam Great Britain as a trade policy advisor. She also worked or served leadership positions in Asia Monitor Resource Center, The Conservancy Association, Hong Kong Confederation of Trade Unions, Business and Human Rights Resource Centre, and Carbon Care Asia. 1) Please email the Society Administrator (society@oxbridge.org.hk), noting ‘Formal Hall with Oxfam’ in the subject, and provide your full name and contact phone number. 2) You will receive an acknowledgement email. Upon getting this email, make your payment according to the instructions given. Electronic payment or cheque will be accepted. 3) Bookings will be confirmed upon receipt of payment. 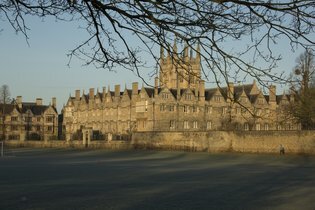 The Warden of Merton College, Sir Martin Taylor, and his wife Sharon, Lady Taylor, will be visiting various locations in South East Asia between the 5-19 January and would like to meet as many Mertonians as they can whilst they are there. They will be accompanied by Christine Taylor, the Director of Development and Peter O'Connor, the Senior Development Executive. Dinner in the Garden Room at Capital M Restaurant on Monday 9 January (sponsored by the College). Further details or book online here. Dinner in the Restaurant of Les Suites Orient on Wednesday 11 January (sponsored by the College). Further details or book online here. Dinner in the Drawing Room of The China Club on Friday 13 January (generously sponsored by Mertonian Charles Target (1975)). Further details or book online here. Dinner at Artemis Grill on Tuesday 17 January (generously sponsored by Mertonians Paul Brunet (1974) and Tom Willett (1986)). Further details or book online here. To reserve your places please follow the relevant booking link, as outlined above, which will take you to the booking page on the College website. Guests are very welcome. Dress code: Business attire. If you have any questions, please contact Helen Kingsley, Alumni Relations Manager at Merton College. Copyright © 2007-2019 University of Oxford China Office Limited, All rights reserved. 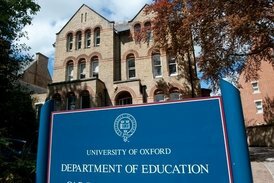 The University of Oxford China Office Limited is a branch office of the University of Oxford in Hong Kong, registered with limited liability and having charitable status under Section 88 of the Hong Kong Inland Revenue Ordinance.